At over three feet tall, this ramp provides hours of racing fun. 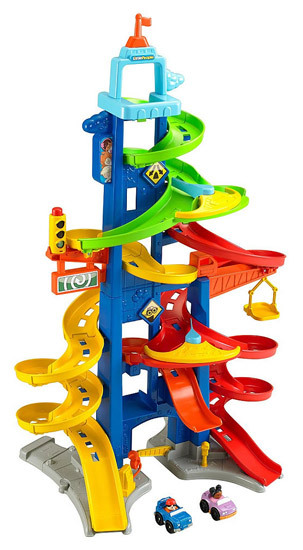 Kids will enjoy the surprise ending, as you never know which ramp the car will go down once it’s released. Available at Target, Walmart, Toys R Us, Loblaws, Sears.